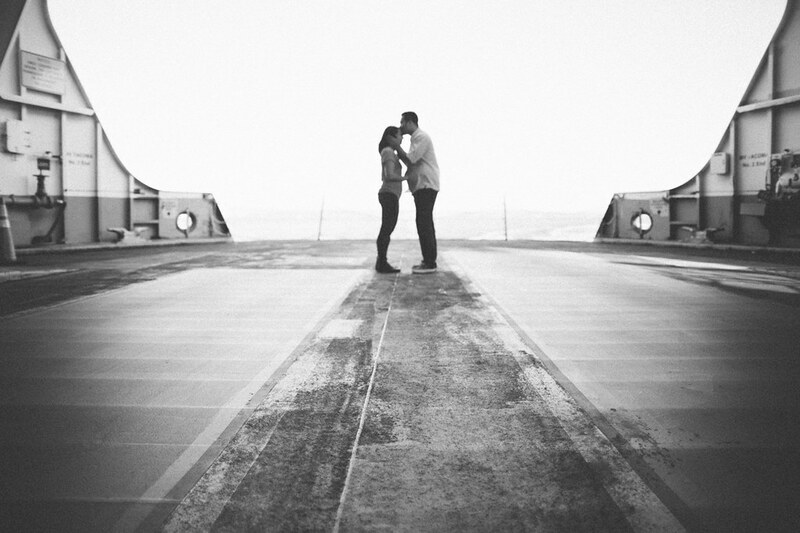 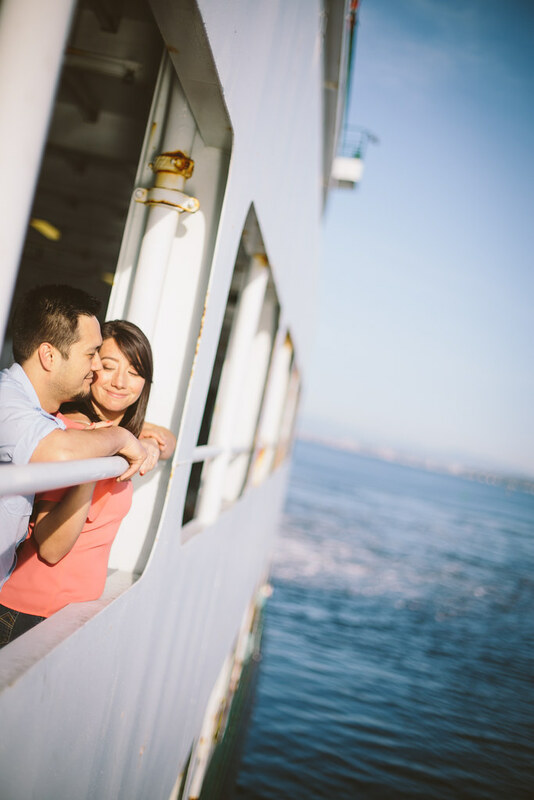 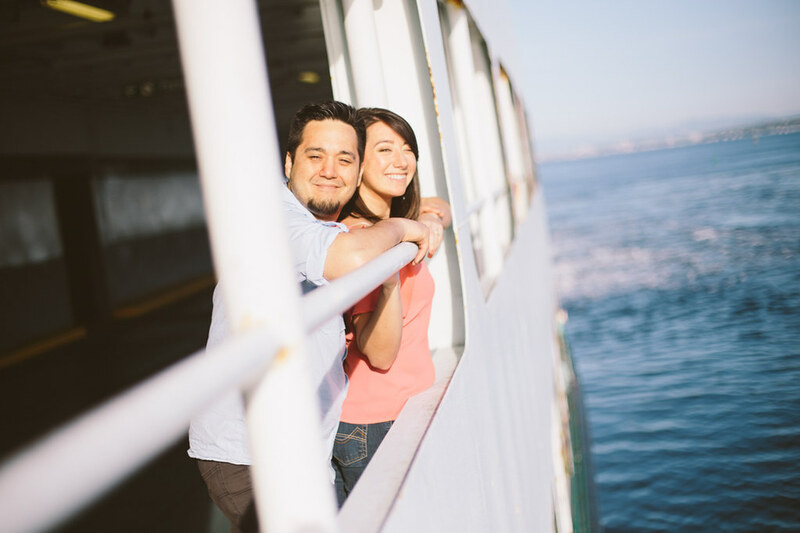 A couple weekends ago I met up with these two lovebirds up in Seattle for a fun evening ferry ride for their engagement shoot! 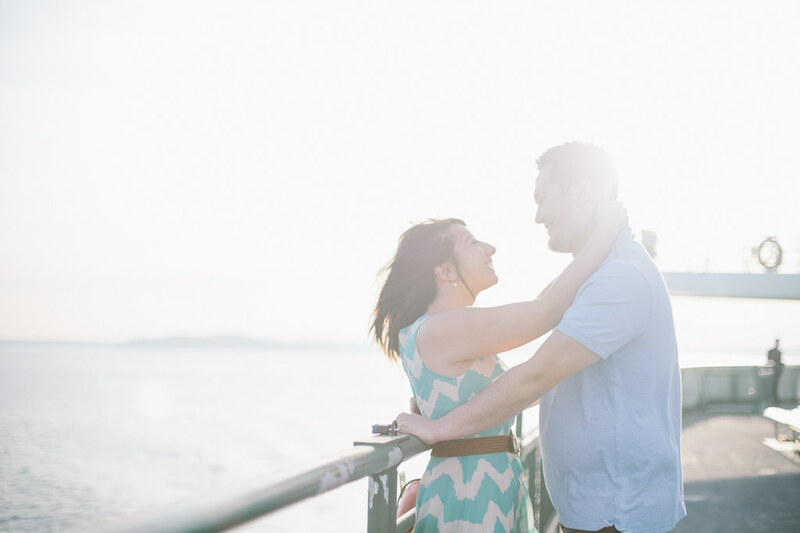 We ended up with an absolutely gorgeous day, which made the ride so much fun. 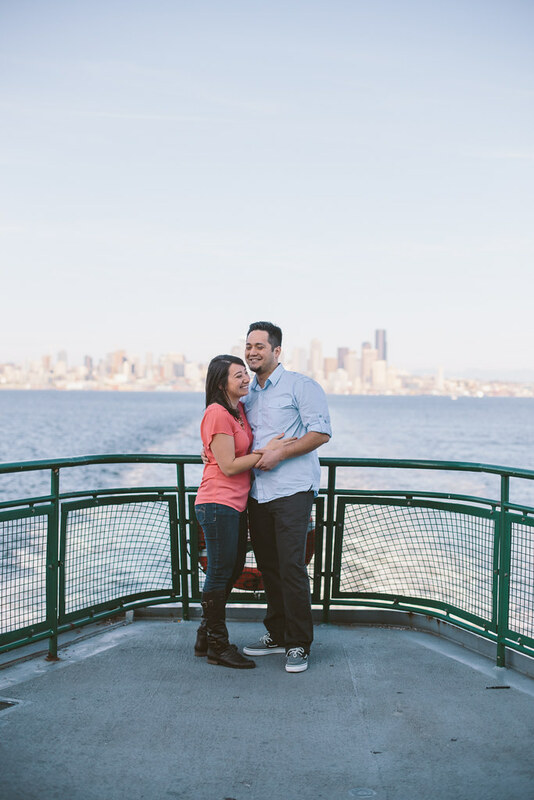 We hopped on the Bainbridge ferry for a round trip ride and on our way over we lucked out and the entire upper car deck was totally empty! 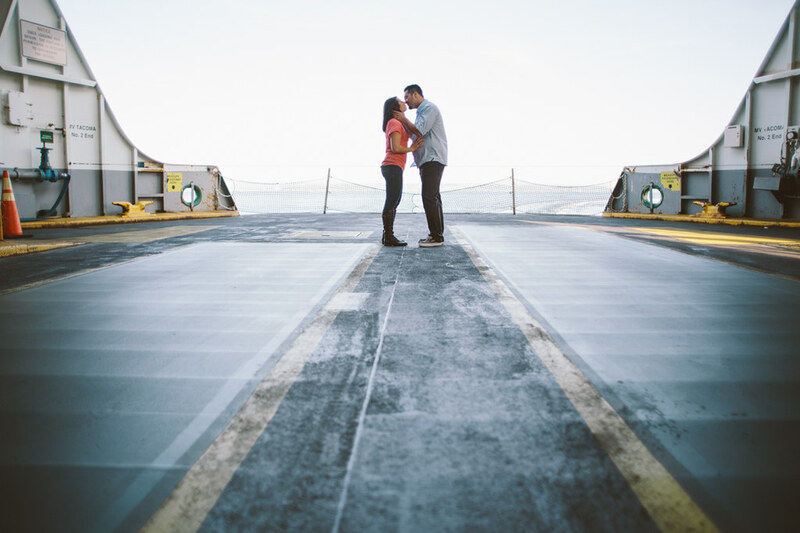 We took full advantage and frolicked around the empty space until the ferry workers kicked us out when we arrived at Bainbridge. 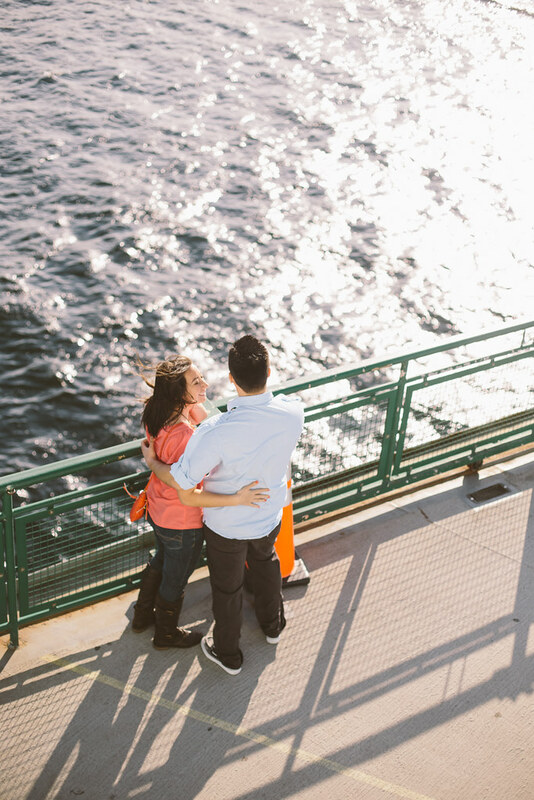 It turned out to be the perfect spot for photos because the top deck was packed with people (because of the beautiful weather) and it was crazy windy up there! 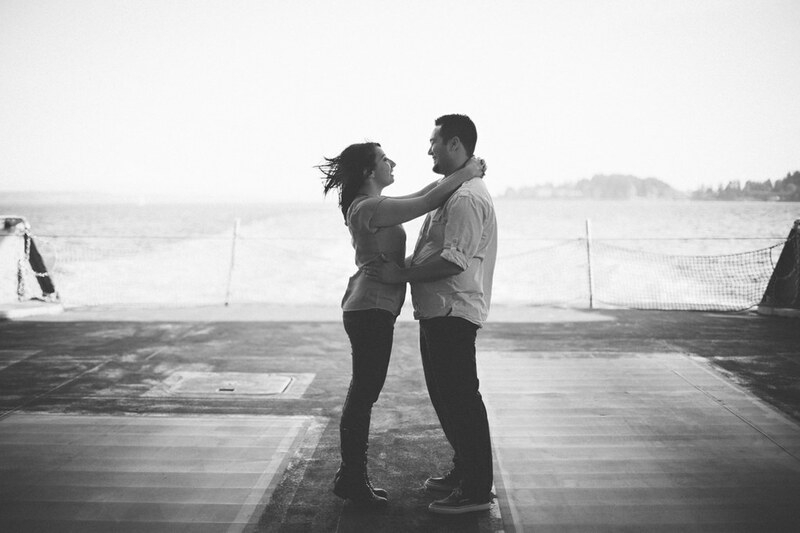 Looking windswept is romantic, but not so much looking like you're in wind tunnel. 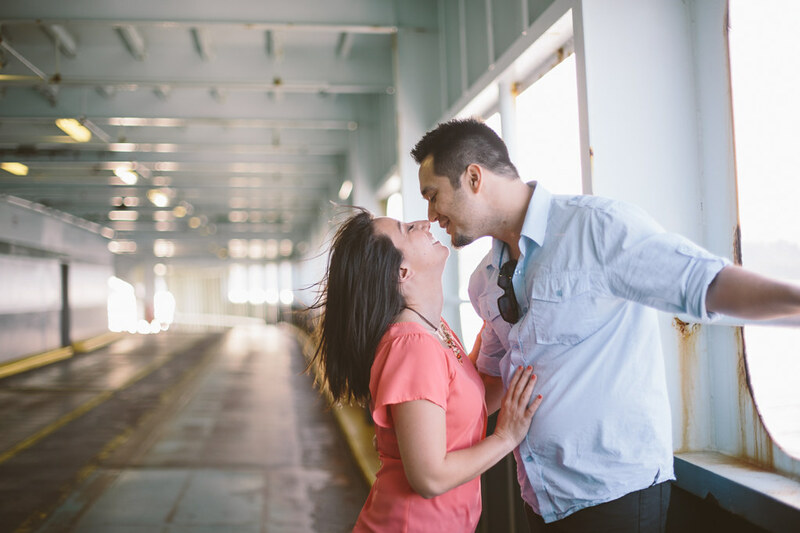 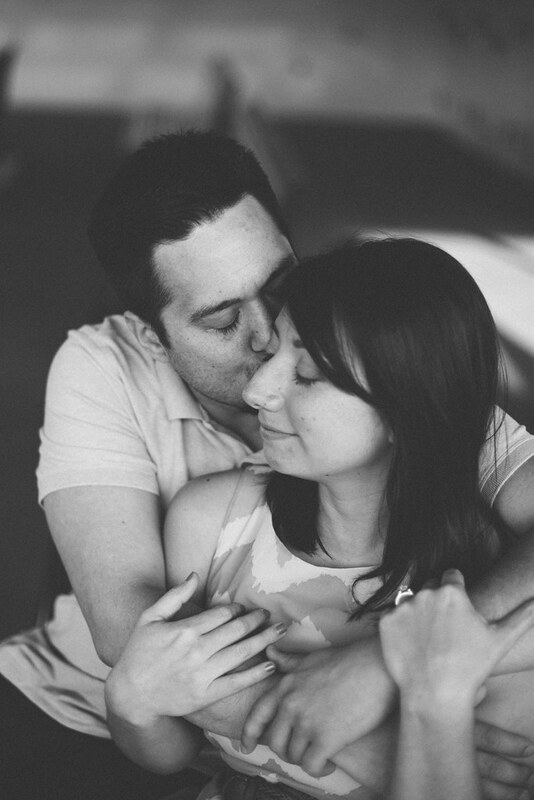 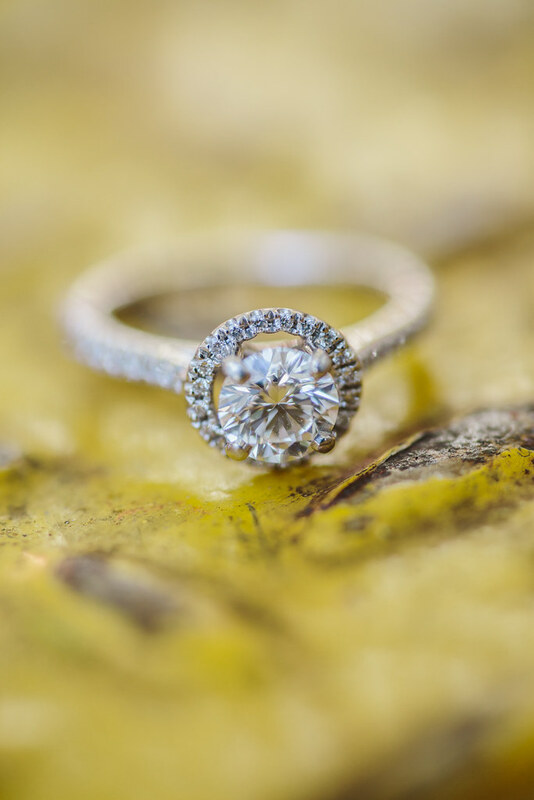 Abby and Ricky are getting married this August and I can't wait to shoot their wedding!